Should we do a meetup/premiere of our latest short? The first of many behind the scenes Vlogs for our new short BALLiSTIC! 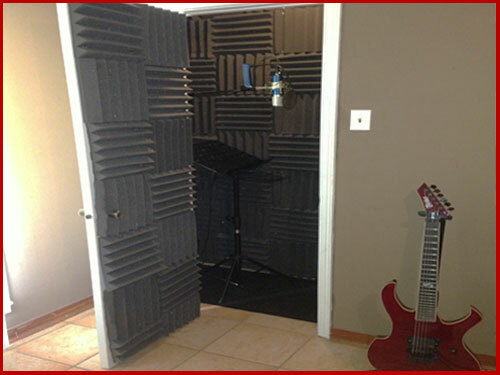 So…How to turn a closet into a vocal booth? You can watch the video below or read the blog, it’s your choice. I’m going to be showing you how to do this the cheap way, but I’m going to be doing it a little bit more professionally. I’m going to be putting some soundproofing wedges in here, some acoustic foam, that I got from a website online. All together it cost me about $187.00, that’s for two packs of 48s and one pack of 48″ X 24″, comes in six pieces. I just found it on eBay right here at this link for only $79 bucks. But anyway, you don’t have to spend that much money, I’m just going a more professional route. I’m going to show you some material to use, depending on your budget and where to get it and the prices on that stuff. The cheaper route to go depending on your budget is, would be soundproofing blankets. 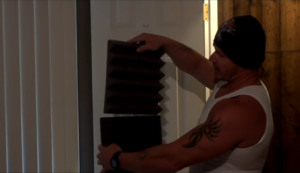 You can find the Soundproofing blankets here! Or you can go a little bit cheaper route and use the moving blankets that a lot of people use. You can find some moving blanket here! And also you want to get some egg crate material, which you can find that at Wal-Mart. You can find the egg crate Mattress topper here! So basically, once you get your foam crate material, you want to put that in last. 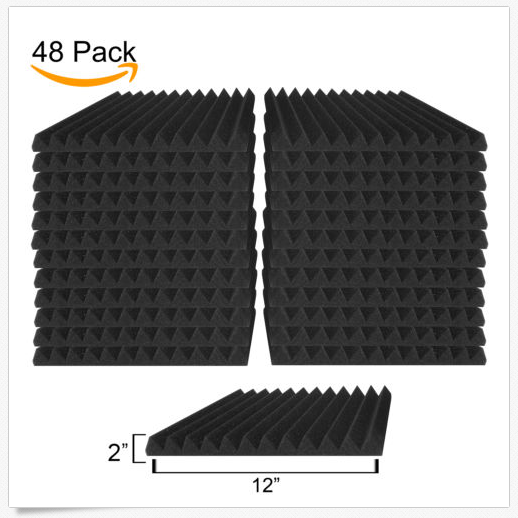 So you want to use your soundproofing blankets, you put that up first, you can tack that up, nail it or screw it, however you see fit, whatever your budget allows you to do. After you lay down your blanket, you want to put your egg crate material that you got from Wal-Mart or wherever you bought that from. 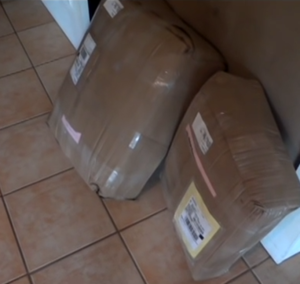 Okay, so once you get all that in, you want to put something on your floor, if you have hardwood floors. If you have carpet in your closets already, that’s fine, you don’t need to do anything else. 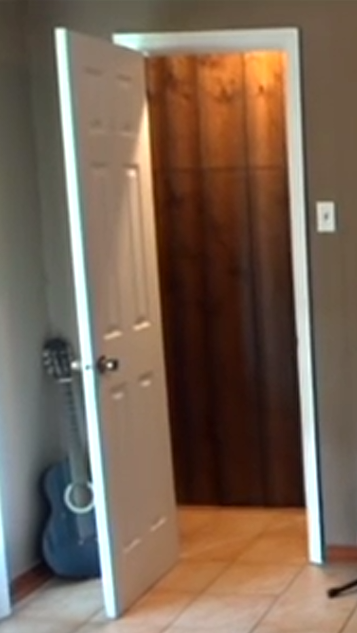 As far as the door, if you do have a door, you can either take the door down and just put some heavy sheets here, like maybe two layers, just to cover the doorway and block that sound out. But what I’m going to be doing for mine here, is I’m going to be putting the wedges on the door itself. All I’m trying to do is deaden the sound, that way after I record my vocals, I can go and put some effects if I want to, in the post-production. Okay, this is the adhesive that I bought that we’re going to be putting on the wall itself and on the foam to stick it to the wall. This spray adhesive, I got this from Wal-Mart for about nine bucks. Okay, so we have all of our wedges. These are two inches thick and these are 12 by 12. The way we’re going to place these wedges in place on the wall, we’re going to stagger the texture. Instead of putting them like this, we’ll stagger the texture like so. We’re going to spray the back of my foam and a little bit on the wall … you don’t want to use too much of this because you don’t need to. It’s very sticky stuff. Just push it in real good. Then you’re ready to do the next one. Make sure you shake the spray can up really good, or it’ll shoot white string all over. All right, so here’s the finished product. We have everything completely done. I have a music stand that I got, which I keep my laptop on. You can find the music stand here! And my Line 6, UX2 on the bottom here, plugged into the mic cable. Boom stand. And of course the microphone and pop stopper. 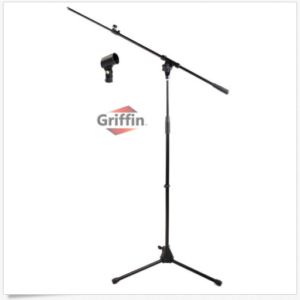 You can find the Griffin Boom Mic Stand here! I have it mounted upside down like most professionals do in their studios, which doesn’t mean anything really, it just takes up less space like that. 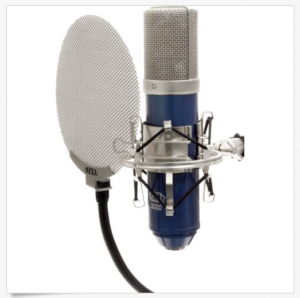 The Mic I’m using in the video is listed below. It’s an MXL 3000 kit. You can find the MXL 3000 Kit here! I got this from Musician’s Friend. I paid a little under 300 bucks. It came in a package deal. It came with a pop stopper, came with a shock mount, and the 25-foot microphone cable. And the product that I’m using to record this to through my laptop right now, is this right here. It’s the UX2 by Line Six. You can find the Line 6 UX2 here! 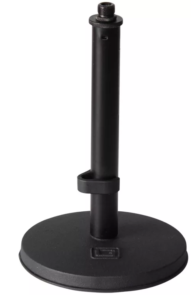 I also purchased this desk mount version. Very heavy on the bottom, also from Musician’s Friend. And mainly this mic It’ll be used for speaking sessions, overdubs on videos that I do or whatnot. You can find a stand like this cheaper here! 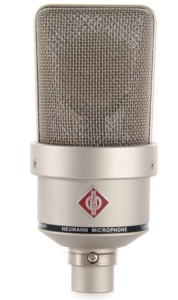 And I’m going to get the Neumann Microphone for the vocal booth. I’ll be spending probably between a 1000 and 1500 for that mic. Such as adding an AC vent, talking about the size of the booth and how it sounds from the outside when someone is singing in it!